Also: What to do when songs are ripped at different volumes. Spring is here, and we’ve all changed our clocks, and it’s time to get back to our iTunes libraries and do some spring cleaning. 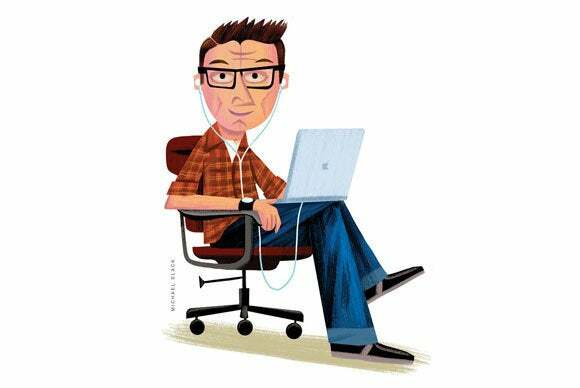 In this week’s column, I explain how to move a playlist from one computer to another, how to join tracks, and how to switch to a different country’s iTunes Store on iOS. I also discuss the distressing problem of more recent CDs being louder than older ones, and explain how to listen to music at different volumes in shuffle mode. Q: I have an old iPod that needs replacing. My iPod contains music from a playlist that is on an old laptop. It contains approximately 2,500 songs out of about 60,000 in my iTunes library. I would like to transfer the playlist to a new computer or laptop and do not want to have to trawl through 60,000 songs again and pick out the ones I like. Is there any way to do this? There are two possible answers to this question, depending on exactly what you want to do. If you only want to move those 2,500 songs to the new computer, create a folder somewhere on your computer and open it. Go to iTunes, select all the tracks in the playlist, and drag them to the folder; iTunes will copy the actual music files. Copy that folder to the new computer. If, however, you want to transfer the entire library and retain the playlist of 2,500 songs, this is also possible. In iTunes, select the playlist, then choose iTunes > File > Library > Export Playlist. Save the playlist in XML format. Copy all the music and the exported playlist to the new computer. In iTunes, Choose File > Library > Import Playlist, select the file, and iTunes will recreate the playlist. Q: I want to combine multiple tracks into one in iTunes 12. I remember doing this iTunes 11; there was an Options button in the upper right of a playlist. But that button is no longer there in iTunes 12. Is there a way I can do this? Also, does combining tracks affect audio quality? There are valid reasons to combine or join tracks in your iTunes library. If you have any live Grateful Dead recordings, you know that, with only a couple of exceptions, “China Cat Sunflower” always segues into “I Know You Rider.” And if you have Be Bop Deluxe’s Modern Music, you know that the six tracks of the “Modern Music Suite” are meant to flow seamlessly as though they were one long track. 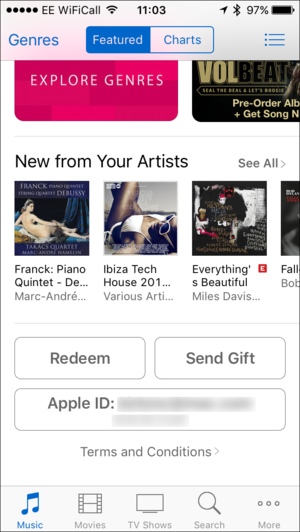 You can join tracks when you rip a CD in iTunes. iTunes has never offered a way to combine tracks in playlists. However, you can join tracks when ripping a CD. To do this, select the tracks you want to join on a CD, then click the Options button at the top right of the iTunes window and choose Join CD Tracks. There is no loss in quality when you join tracks; they are simply ripped as one, with no breaks. You can even join all the tracks of a CD this way. However, if you have already ripped your CD, or have tracks that you downloaded, this option is unavailable. Doug Adams’ $5 Join Together can combine two or more tracks, and as long as you choose the same format and bit rate as the originals, won’t affect their audio quality. Q: How can I tell which country I’m signed into on my iPhone. I think I accidentally signed into the Canadian store, but I need to be signed into the US store. You can see which Apple ID is signed into the iTunes Store at the bottom of the main section pages. 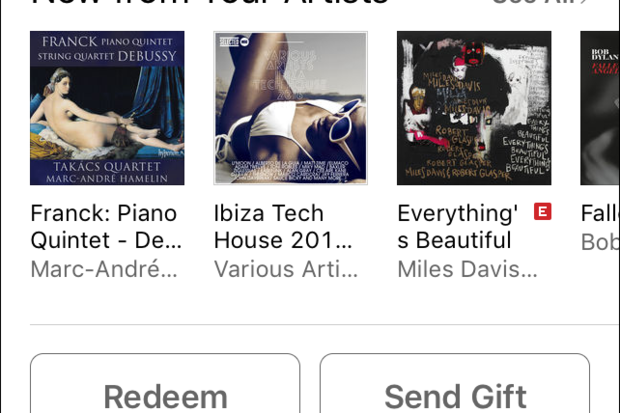 It’s possible to have accounts in more than one iTunes Store. Unlike iTunes on the desktop, you can’t tell which country store you’re signed into on iOS. The currency symbol could be a clue; if you see £, for example, you’re clearly in the UK store, but both Canada and the United States use $. If you do have more than one account, each one has a different Apple ID. So you need to remember which Apple ID you use for each store. If you go to the main page for any of the sections in the iTunes app (Music, Movies, etc.) and then scroll down to the bottom, you’ll see the Apple ID that is currently signed in. If this isn’t the one for the country store you want to use, tap the Apple ID, then tap Sign Out, and sign in again with the correct Apple ID. Q: I have a bunch of old CDs from the late 80s and early 90s, as well as many recent CDs. I have ripped them all and added them to my iTunes library. Songs from the older CDs play back at lower volumes, and this is especially noticeable when listening on shuffle play. What’s going on? There has been a slow but steady increase in the volume of music on CDs. In the early days, CDs were mastered at volumes that allowed you to hear the nuances of music. But beginning in the 1990s, CDS STARTED BEING MASTERED AT LOUDER AND LOUDER VOLUMES SO THE MUSIC STANDS OUT MORE. Because of this, there can be a huge difference between the volume level of songs on older CDs and newer releases. In addition, many remasters of older albums are re-released with the volume pumped up. In iTunes’ Playback preferences you can activate Sound Check, which attempts to normalize the volume of all your music. This is especially useful if you’re listening in shuffle mode. However, you may find that, when listening to an album in order, it alters the volume of individual songs, making them sound louder or softer than they should compared to other tracks on the album.